Why Is Brad Wall Wearing NDP Orange?? 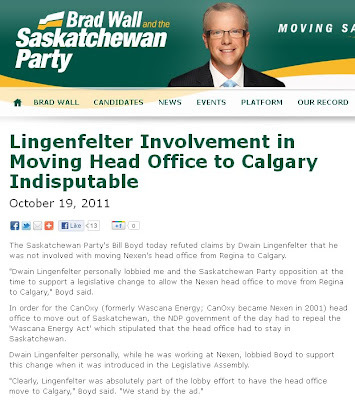 Halfway through last week, the Saskatchewan Party pulled all of their overly aggressive 'attack' ads on Dwain Lingenfelter. Clearly, their polling showed that these scathing ads were not being well received by the public. To replace them, the Sask Party is now advancing a softer, friendly Brad Wall ..... wearing NDP orange!?? The brain trust who run the Saskatchewan Party campaign are leaving no bases uncovered! I've known Robert Chisholm for many years and am very happy that he has thrown his hat into the race for leader of Canada's New Democrats. Robert took the Nova Scotia party from 2 or 3 seats in the provincial legislature to Official Opposition. He is a charismatic, committed and highly skilled candidate for the position. 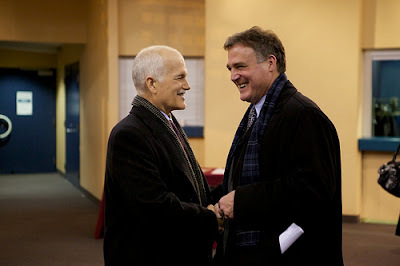 "Nova Scotia MP Robert Chisholm has joined the federal NDP leadership race, becoming the eighth candidate for the job. The 54-year-old MP for Dartmouth–Cole Harbour confirmed on Facebook on Sunday that he is now part of an increasingly growing group of candidates to replace the late Jack Layton. He later appeared at a Darmouth restaurant with supporters, including Premier Darrell Dexter and a group of provincial cabinet ministers. Chisholm touted his experience as former leader of the NDP in Nova Scotia in the late 1990s. He led the provincial party to a breakthrough in Nova Scotia's 1998 election, when the party won 19 seats in the legislature and achieved Official Opposition status. The unilingual candidate says he has started taking French courses and expects to learn the language. He was only able to speak a few words of French in response to reporters' questions. In launching his campaign, he said in an online statement that New Democrats are at a "a pivotal point in their history." "Yesterday’s strong earnings report from the Potash Corporation of Saskatchewan confirms what this blog and the NDP have been contending: even modestly increasing Saskatchewan’s extremely low royalties on hugely profitable potash mines could fund substantially better provincial public services. PotashCorp has confirmed that it paid only $82 million of corporate tax to the Saskatchewan government throughout 2010, less than it paid to Trinidad. Saskatchewan people should get a better return." 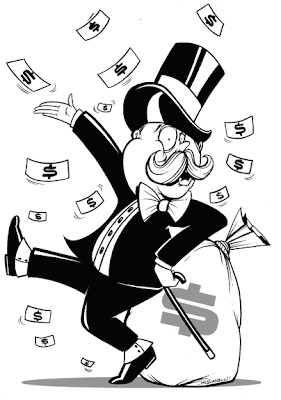 Brad Wall SCRAMBLES To Change Channel From Windfall Potash Profits To ..... No School Until After Labour Day!? PotashCorp embarrassed Sask Party Leader Brad Wall yesterday by releasing Third Quarter figures which prove that the province is being robbed blind. The last phase of the provincial election seems to be focusing on the Billions of dollars being gouged out of Saskatchewan by the potash industry. New Democrats want to squeak out an extra 'nickel on the dollar' of these profits while Brad Wall wants to keep enriching the rich. So back to yesterday. With the Q3 report on record industry profits, Wall desperately needed to change the channel and get the pundits, MSM and hopefully, the public, onto another topic. Right out of the blue, without any other context, he announced that no school in Saskatchewan will be able to reconvene classes until after the Labour Day weekend in order to help out the tourism industry. As you would expect, the MSM took the bait and we have a new issue in the campaign today. SASKATOON - Potash Corp. of Saskatchewan Inc. (TSX:POT) more than doubled its profits in the latest quarter on higher production and record sales. The world's largest fertilizer producer reported early Thursday its net income jumped to US$826 million, or 94 cents per share in the three months ended Sept. 30. PotashCorp, which reports in U.S. dollars, said record third-quarter sales and significantly higher prices raised potash gross margin to $700 million - the second-highest third-quarter total in company history. PotashCorp president and CEO Bill Doyle said the "undeniable need for potash, phosphate and nitrogen" ensured products moved through the system to reach farmers around the world. "Our third-quarter performance reflected the unrelenting pressure on global food production - and the strength of our growing fertilizer enterprise." After the rejection of BHP Billiton's hostile $40 billion bid for PotashCorp last year, the Saskatoon company has moved ahead with expansion plans and developments to boost supply. "Despite economic uncertainty around the world, a growing population has and will continue to need more food and, ultimately, more fertilizer," added Doyle. "By recognizing this powerful long-term trend and making the commitment to be prepared for growing demand, especially for potash, we anticipate new opportunities in the years ahead. Our expanding operational capability will be increasingly valuable - in helping grow global food production and in serving the interests of all stakeholders in our company." MODERATOR: Lawrence Wegner, you got a question? LAWRENCE WEGNER: Thanks, Randy. Going back to royalties for a second here. Recently it was announced by the opposition that if they were elected they were going to enter into negotiations with the First Nations in regards to sharing the royalties that our province has. My question is, I’d really like you both to leave your party platforms on the table and come up and answer this personally. How do you feel about a government negotiating the royalties struc--the royalties of our province to minorities and special interest groups? CHAD BLENKIN: Thanks for your question, Lawrence. On a personal note, I spent three years at Enterprise Saskatchewan on entrepreneurship council. And during my tenure there, this was one of the areas with the First Nations that I worked hard on. I think the negotiations of potash royalties with the First Nations, what we’re trying to achieve as the NDP is just to get those talks started. We have had a considerable amount of backlash since we made this announcement but I just recall going back to where we were when we made the announcement years ago to do this with the casinos and look at where we are today, especially here in Yorkton. The casino is one of the largest employers. Everybody said it wouldn’t work. It, they’re providing 60, 60 to 70 per cent, 60 per cent of their employees are of First Nations ancestry, so 40 per cent of their employees aren’t even from that community. So I think where we need to work with the First Nations is providing them some entrepreneurship training and some guidance and taking some of these royalty revenues and allowing them to build economies. Like we see even the Petro Canada, that’s a success. We have a lot of people working there. That’s what we need to do is help and train them into building their own businesses so that they can be more [in? ]dependent on their own. Thank you. GREG OTTENBREIT: Well, I will sincerely agree with Chad on one thing and that is engaging the First Nations people on education, training and in the economy because that is the most important thing. If you talk to, I have a lot of First Nations friends, I’ll talk to them about this, quite a bit and they’ll tell you that. Like, the handouts, the money that comes so free and easy, all it does is go to, quite often, drugs and alcohol and other things and creates more social pro-, er social issues. As far as, with the royalty rates, and I think Lawrence talked about minorities and special interest groups, absolutely not. I felt that, many years, probably the first year I was in government, and some of these issues would come up and we would be talking about it. And in talking to a lot of my First Nations friends, they seem to be very understanding. They will say, well if we get say a portion of royalties, does that mean that we have to pay a portion of roads, highways, schools, hospitals that we use. They realize and I realized quite quickly one of the first meetings I had when I was in government was the office of the treaty commissioner. And when they are interpreting the treaty, the treaty says we are treaty people, like everybody, white, non-First Nations and First Nations alike. And those royalties are for everybody, we’re paying for the provincial debt, we’re paying for healthcare, we’re paying for hospitals, and schools and highways that everybody uses equally. So there’s no special interest group. I feel personally I’m very onside with our policy that they’re for all of us. .... But How Does Premier Brad Wall Deal With Getting Caught With False Advertising??? 3) Brad Wall tries to cover his error (not with a retraction of the FALSE ad), but by rephrasing the accusation ... now they are saying that Lingenfelter was indisputably "involved" with the move of staff. "To my good fortune, I got to go back to Regina for a few days last weekend to attend some interesting meetings at the request of New Democratic Party Leader Jack Layton. Mr. Layton demonstrated some important truths about the value of deliberative democracy at those sessions. At the end of the day, adult political debate produces the best results, even if some of our country's columnists find them difficult to endure and prefer the discipline of phony "majority government". The alternative they prefer, on offer from both Michael Ignatieff and Stephen Harper, is about infantilizing our Members of Parliament and our democracy. This commentator put things very well. Meanwhile, visiting the province gave me an opportunity to catch up with some friends and with the always-fascinating world of Saskatchewan provincial politics. The elm trees lining the city's downtown residential neighbourhoods are at their most beautiful this time of year. The marble Legislature gleams. And Conservatives are fighting each other over the net proceeds of a generation of bagmen. As is explained here, in 1995 Saskatchewan's Progressive Conservative Party set up a trust fund. They reportedly tucked about $3-million into that fund, left over from many years of fundraising by their party among Albertan oil companies, on Bay Street, and among various other (shall we say) stakeholders of the former government of premier Grant Devine. In 1995 the Progressive Conservatives were four years out of office. They rarely polled in the double digits. They were about to be clobbered again in another election. And so they decided they needed to bring some better order to their sole remaining asset -- that big pile of cash, raised from persons unknown. In 1997, some Liberal MLAs left their party and formed a coalition with the Progressive Conservative rump in the Saskatchewan Legislature. This new entity, the "Saskatchewan Party," allowed the province's conservatives to slowly turn the page on their lamentable record in office. 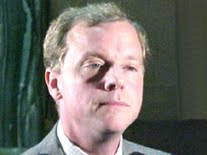 After a decade's work, they finally took power under Premier (and former Devine political aide) Brad Wall in 2007. As for the province's Progressive Conservative Party, it took a two-election hiatus. But then, it turned out, the Saskatchewan PCs had some life left in them. 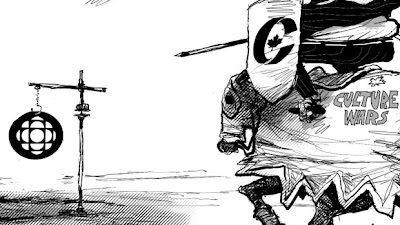 Progressive Conservatives were proud of their long record. As is recounted here, they first elected an MLA in 1887, and played a central role in Saskatchewan politics ever since. They were the party of John Diefenbaker. They didn't see themselves in the soft-focus "Saskatchewan Party" brand. They didn't want to disappear. And so they elected a new leader (former PC MLA Rick Swenson, a formidable politician), and ran some candidates in the 2007 election. And they asked for their money back. However, key figures from the "Saskatchewan Party" control the $3-million fund. They declined to make the fund available for its purpose, which (as spelled out in its charter) is to "support the operations of the Progressive Conservative Party of Saskatchewan." So as you'd expect, the whole matter has ended up in court. 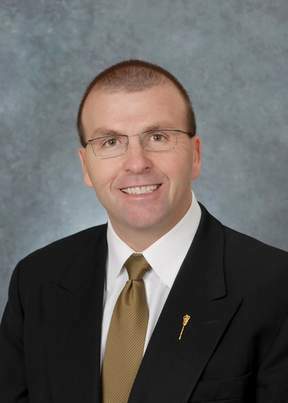 Premier Wall's Saskatchewan Party has advanced numerous ingenious legal arguments to avoid handing these funds over to their former co-religionists, but have so far fared poorly. Most recently, on July 22, the Saskatchewan Court of Appeal ruled against the Saskatchewan Party, preventing the whole matter from being thrown out. It's Saskatchewan politics at its best. And it is a gift that gives in a number of ways. The Saskatchewan Progressive Conservative Party may turn out to have the better legal arguments, in which case a formidably-financed new political player may eventually resurface on the Wall government's right flank. 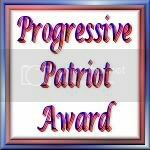 Many Conservatives would celebrate this return of their party, and the ability to vote for an option untainted by Liberals. Meanwhile, the increasingly successful New Democratic opposition, led by former deputy premier Dwain Lingenfelter, have been handed a useful prop to demonstrate the direct link between Mr. Wall's government and Mr. Devine's former administration and record. Mr. Wall seems to have a problem with money. His government made a $2-billion mistake estimating the province's revenues this year, patched over through a set of desperate expedients. He must be tempted to take the $3-million in that fund and burn it in the parking lot in front of the Legislature -- not unlike what he has done to the provincial finances. Instead, the fund is doing a slow burn inside the "Saskatchewan Party's" carefully-reconstructed brand." Brad Wall Says 'Overestimation' Of Revenues Was His Biggest Mistake - Yet He Continues To Drag Flawed Estimates Into The Election Debate! "Asked what was has been the most regrettable mistake of his first term, Wall quickly responded “that we didn’t build more caution in ’09 budget” that overestimated potash revenues by a massive $2 billion. He admits the massive economic boom in 2008 when the provincial government raked in an unexpected extra billion dollars in oil land lease sales alone likely contributed to the discarding of caution. “But you know what? ’09 was likely the best thing that happened to us in this term,” Wall said, adding that it hopefully made both his government and party more cautious -"
"Saskatchewan Party leader Brad Wall, at a pancake breakfast Saturday in Regina, claimed the NDP's promise of resource revenue sharing with aboriginal groups would cost the provincial treasury $1.6 billion. Wall noted a return to an NDP government on Nov. 7 would mean a $900-million deficit over the next four years, even without the revenue-sharing promise. [...} The (New Democratic) party also pointed out that the Saskatchewan Party miscalculated the NDP's promise for additional health care clinics, by applying the full cost in each year of the promised four year phase-in of the plan. The NDP also say their opponent double-counted a $25 million promise for University of Regina student housing." "Even Friday's announcement of $320.8 million for a housing strategy - while a tad pricey when added to all the other NDP promises - wasn't all that bad. In a nice north Regina suburban home complete with a friendly mom and a bug's-ear-cute little girl, Lingenfelter introduced his "next-generation rent-control plan" that will include "fair-rent" legislation, $216 million to help community-based organizations build 2,500 affordable rental units and PST rebates to private developers building new homes valued under $280,000. It's not earth-shattering, but it beats Premier Brad Wall's policy of leaving it up to the landlords to sort the problem out with their renters. Similarly, the NDP healthcare platform unveiled Wednesday was less terrifying than the Sask. Party tried to make it out to be. Again, it's a little pricey when you add up all the $10and $20-million items. But there are some good, affordable ideas here - including the much-ballyhooed 30 new primary clinics that the NDP is now pricing at $850,000 each year apiece. 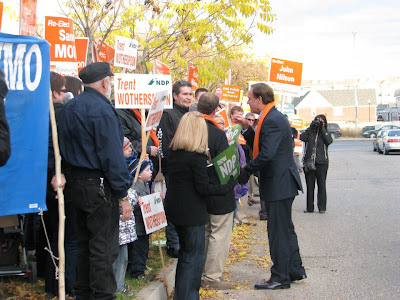 What Lingenfelter and the NDP are really talking about here is once-or twice-a-week walk-in clinics." 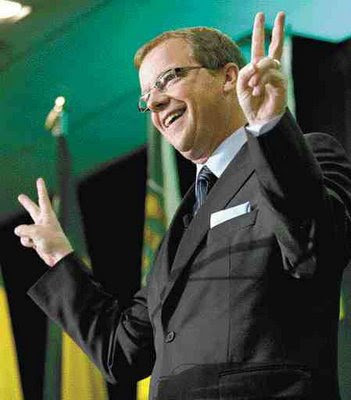 During his first term in power, Brad Wall had NO problem implementing the concept of 'revenue sharing' with Saskatchewan's municipal governments. However, when it comes to working with First Nations he reacts extremely negatively! Brad Wall is more than content to have mega-corporations gouge the people of Saskatchewan when it comes to ongoing resource royalty structures. As an example, PotatshCorp continues to rip Billions in windfall profits from the province. New Democrats will ensure that all the people of this province get a fair return for our non-renewable resources. RED PHEASANT FIRST NATION – Provincial governments need to do a better job connecting with First Nations and Métis people by dealing directly with the issues that matter including training, education, roads and resource revenue sharing, according to NDP Leader Dwain Lingenfelter. Speaking on the Red Pheasant First Nation, Lingenfelter announced a commitment to a better relationship with First Nations and Métis people and to negotiations on a resource revenue sharing arrangement. “We recognize that the negotiations will be complex, but just as the NDP worked with First Nations governments to forge a new and groundbreaking Treaty Land Entitlement Agreement, we will seek a new relationship in revenue sharing upon forming an NDP government,” said Lingenfelter. Lingenfelter also pledged $2.5 million annually toward the goal of increasing the aboriginal high school graduation rate by 50 per cent in four years and to expanding post-secondary and other training opportunities in First Nations, Métis and remote communities. Lingenfelter said that additional funding specifically targeted to roads to First Nations and remote communities is part of the government’s platform and overall commitment to highways and transportation. The NDP has the largest number of aboriginal candidates running for a provincial party in the province’s history with 11 First Nations or Métis candidates. 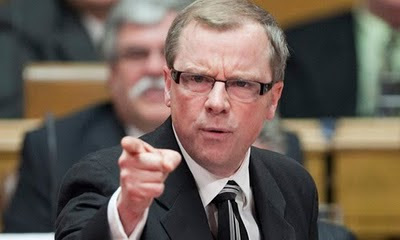 Brad Wall Supports 'Single-Desk' Marketing Of Saskatchewan Potash BUT NOT For Wheat! "Can someone explain why Premier Brad Wall, now standing for re-election in Saskatchewan, was passionate about his support for single desk selling of potash yet he can hardly lift a finger to support the majority of farmers who just voted for single desk selling of their wheat and barley? At least Alberta is a little closer to deep water and has oil and the cattle feeding sector, but what does Saskatchewan have? A couple of potash mines that look pretty small by most standards, and a huge grain farming sector. Saskatchewan produces better than 60% of the wheat and barley the CWB markets each year. For every dollar a farmer earns, he puts about eight dollars into circulation in the economy. Ending the CWB is estimated to remove between 500 million to one and a half billion dollars from the western economy, and most of that will come out of Saskatchewan. If this does not become an election issue, more than just the premier have their heads in the sand. 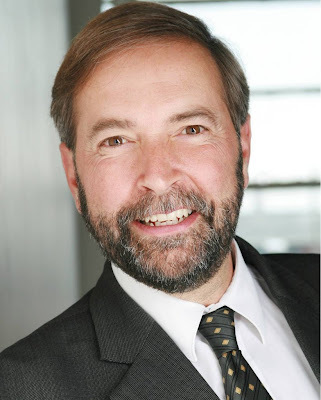 "Thomas Mulcair officially announced his candidacy for NDP leader Thursday, bringing the number of declared candidates to six and a new dynamic to the race." While reading Murray Mandryk's little piece on Brad Wall the other day, I realized that the writer's goal was to ensure that I got all misty eyed over the fact that Premier Brad Wall is a really swell guy. #FAIL! I've met Mr. Wall and I've spoken to Mr. Wall. He seems like a nice enough fellow at a personal level. I am positive that if he were my next door neighbor, I could leave the keys to my house with him while I did a weekend away from home. That doesn't change the fact that I will still never vote for him because his politics are wrong. But back to how the Regina Leader-Post has adopted an editorial policy that will not allow anything negative to be said about Mr. Wall and his Saskatchewan Party. As we go into this election, the Sask Party has the advantage of using their role as 'government' to draw upon some of the resources of the public service. Case in point - When the New Democrats unveiled their plan for a number of rural primary healthcare clinics, the Sask Party had the option of asking Saskatchewan Health to quickly bring forward a rough estimate on the cost of the proposal. 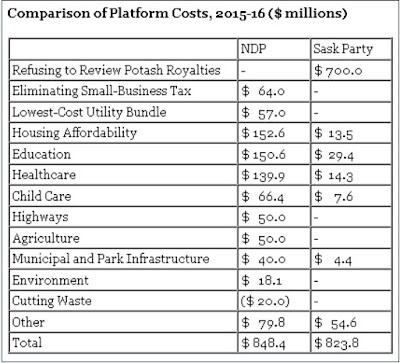 However, the Sask Party central campaign dreamed up a figure that (as it turns out) was 1000 times the real amount. So how does the Regina Leader-Post deal with this blatant political idiocy by the Saskatchewan Party? Well .... they blame the NDP for not helping the Sask Party do their job. Yup! The Leader Post helped the Sask Party back up to their feet, dusted them off, took out a hanky and helped them blow their nose. Nice work Regina LP! I cancelled my subscription years ago. Others should as well. Everyone in Saskatchewan knows that Premier Brad Wall honed his political skills when he worked for the disastrous Grant Devine administration as a Senior Ministerial Aide in the 1980's. It shows! 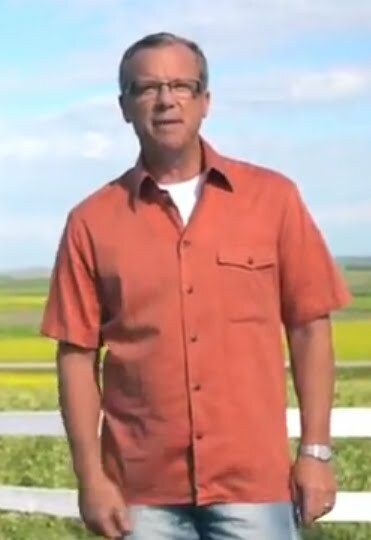 The Saskatchewan Party has started the campaign off with a strategy of inflating the cost of all promises and policies of the New Democrats in order to portray them as 'fiscally irresponsible'. 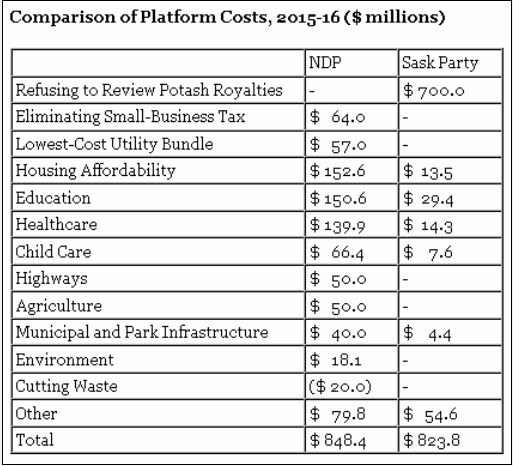 Let's take a quick look at how the Sask Party is trying to grossly overestimate the cost of New Democratic policy. In its faulty estimation of the cost of the NDP’s plan for 30 new primary healthcare clinics, the Sask Party multiplied the annual cost of the Saskatoon Community Clinic’s ($7-million provincial cost by 30), and then multiplied that total by four (to cover 4 years of the next term). They arrived at the bizarre figure of $840 Million and then took the liberty of rounding it up a further $60 Million to a grand total estimate of $900,000,000 (see in the graphic above). Based on Saskatchewan Health’s 2010-11 Annual Report, the NDP estimates that the average operating cost of a primary healthcare clinic will be $850,000 annually. Therefore, 30 additional clinics by the fourth year of an NDP government will cost $25.5 million in 2015-16 not the outlandish amount that Wall's staffers have stated. The Sask Party knows a primary healthcare clinic is not the same thing as a community clinic. For example, the Prince Albert Parkland Health Region’s 2010-11 annual report indicates a cost of $4 million to operate all of the primary healthcare clinics in that region. That investment in the health of Saskatchewan families is practical and worthwhile. CBC TV News is now reporting that Sask Party Health Minister Don McMorris has just now acknowledged that the $900 Million figure his party has been using is "grossly in error!" .... ya think?! Canadians have spend $18 BILLION on the War in Afghanistan. 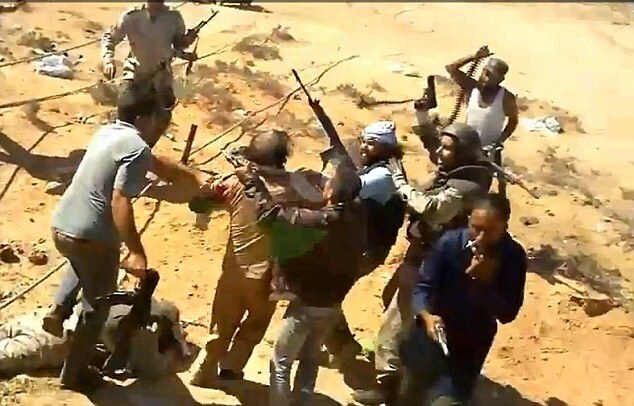 I still have a hard time trying to equate ANY value for this gross waste of tax dollars and human life. But leaving that aside, you really have to wonder what the wisdom is of spending $28 MILLION on a war that was fought 200 years ago. Harper is NO fiscal Conservative. 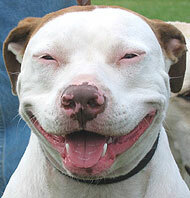 I have repeated that truism over and over on this blogsite. Harper and Conservatives simply love spending public funds. They always have. $28,000,000 for the War of 1812 is bloody ridiculous. 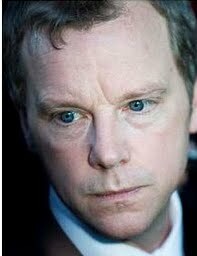 Torment every Conservative you know with this factt! Saskatchewan Premier Brad Wall, timed his official election call for 6:00 pm today, just moments after the Saskatchewan Roughriders finished their match against the Edmonton Eskimos. The problem for Wall was that instead of a joyous Rider victory to set the tone for his speech, the 'Roughies' choked (again) losing 17 - 1 to their Alberta rivals. The main theme of this election will be Wall's sales pitch that 'the province is booming' versus common wisdom which asks ... "exactly what 'Boom' are you referring to?" Saskatchewan voters go to the polls on November 7th. -What 'Boom' Are You Referring To Premier Wall?? John Diefenbaker - Lester Pearson - Pierre Trudeau - Joe Clarke - John Turner - Brian Mulroney - Kim Campbell - Jean Chretien - Paul Martin - Stephen Harper: All of these Conservative and Liberal Prime Ministers have turned a blind eye to a 53 year continuous leak of radiation into the Ottawa River. How many people have died from cancer as a result of this criminal negligence over the last 53 years? "OTTAWA — The aging NRU research reactor at Chalk River has been leaking low-level radioactive water into the Ottawa River for about 50 years, a federal licensing tribunal has heard. 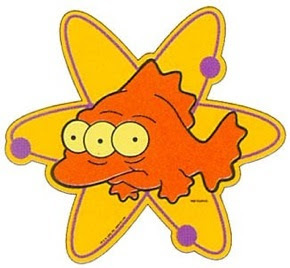 Atomic Energy of Canada Ltd. (AECL), owner-operator of the 53-year-old reactor, has been unable to halt tritium-laced water seeping from the reactor’s control rod bays and is instead diluting the concentration of tritium with fresh water before it somehow leaks into the nearby Ottawa River, the Canadian Nuclear Safety Commission (CNSC) tribunal was told. The five-member CNSC panel is deliberating on an AECL application to renew the operating licence of the NRU and surrounding Chalk River Laboratories (CRL) to 2016. AECL officials have assured the panel that NRU can run for at least another five years without compromising safety. One of its chief missions is producing medical isotopes. The current operating licence expires Oct. 31. Tritium is a low-energy, radioactive form of hydrogen generated in the heavy-water used to moderate nuclear fission. The tribunal seemed surprised to learn of the leak and that it has been depositing small amounts of tritium into the Ottawa River since the 1960s." Manitoba New Democrats WIN Fourth Consecutive Majority Government ! "Manitoba New Democrats have won their fourth-straight majority government."